Dustin Johnson broke free from the leading pack with birdies on his opening two holes and stayed out front the rest of the way to capture the RBC Canadian Open on Sunday. Dustin Johnson poses with the trophy after winning the RBC Canadian Open at Glen Abbey Golf Club in Oakville, Ontario in Canada on Sunday. World No. 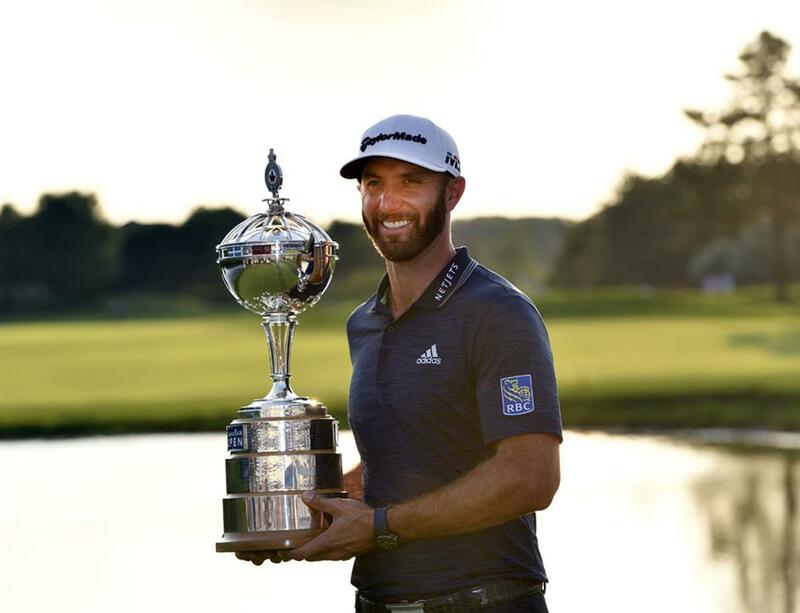 1 Dustin Johnson broke free from the leading pack with birdies on his opening two holes and stayed out front the rest of the way to capture the RBC Canadian Open and his third PGA Tour title of the season on Sunday. The South Koreans both birdied the final hole for matching 69s to share second on 20 under. Keegan Bradley made a rousing final-round rally, carding the round of the day with an error free 8-under 64 to finish alone in third a further shot back. “With my ties to Canada, Paulina and her dad being Wayne Gretzky I definitely get a lot of fans that pull for Wayne, pull for me. It definitely helped. The fans are great. I definitely feel like an honorary Canadian,” the American added. Coming off his first missed cut of the year last week at the British Open, Johnson rebounded in some style to clinch his 19th career title with a winning tally of 23-under 265 in Oakville, Ontario. After Johnson took his only bogey of the day at the 12th, his lead was trimmed to a single shot but the 34-year-old was unshakable, answering with a birdie at 13 to get back on track.